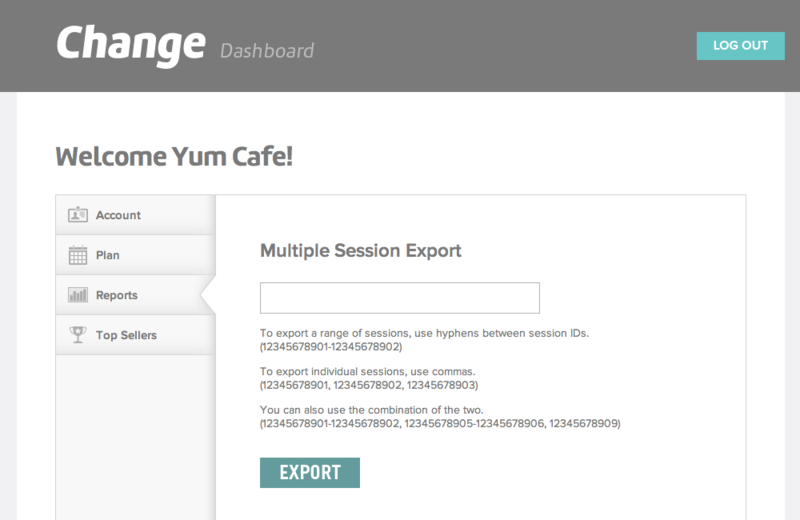 Log in to the Change Dashboard, click Reports, choose the session you want, and click Export. 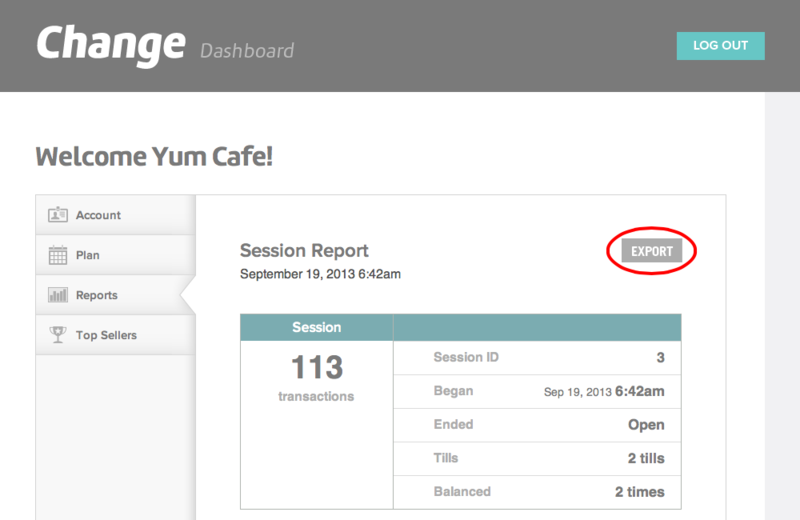 Your reports will export as .CSV files to your Downloads folder. 1. Decide which dates you'd like to export. 2. 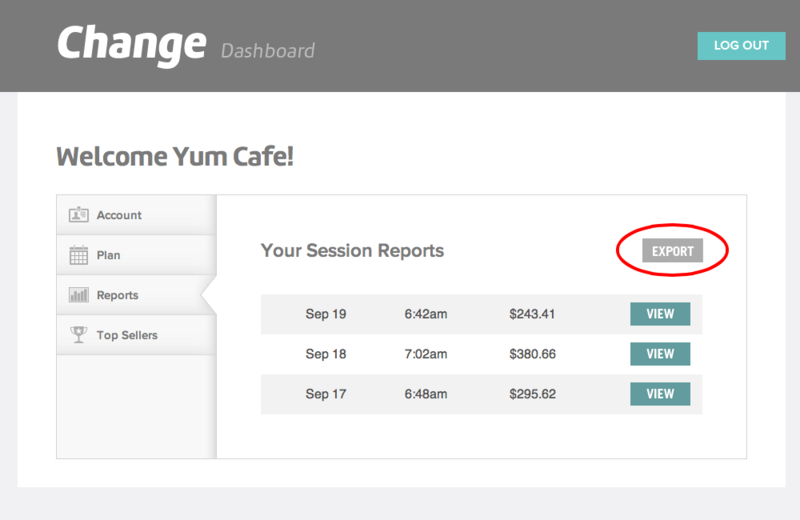 Then click Reports and Export. 3. Enter your session IDs. For distinct sessions, separate the IDs with a comma and a space. 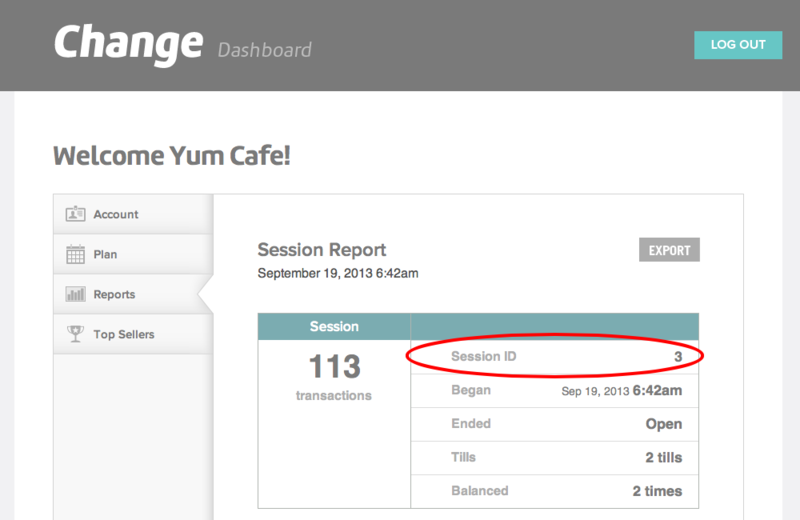 For a range of dates, enter the IDs with a dash between them (no spaces). Visit the Change support page for Reports or give us a ring at 515-661-5561 and we'll walk you through it.